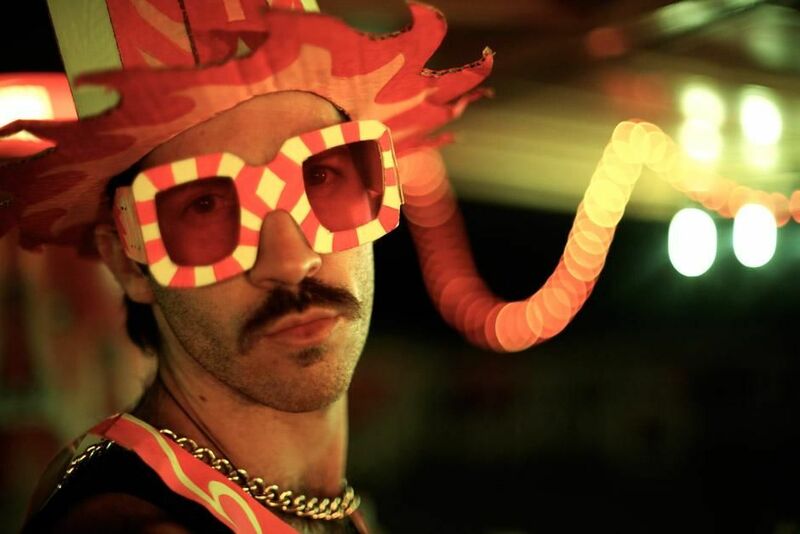 Buenos Aires, Argentina - Tranqui Yanqui performs a cameo in the Buenos Aires. This image is from Making Tracks. 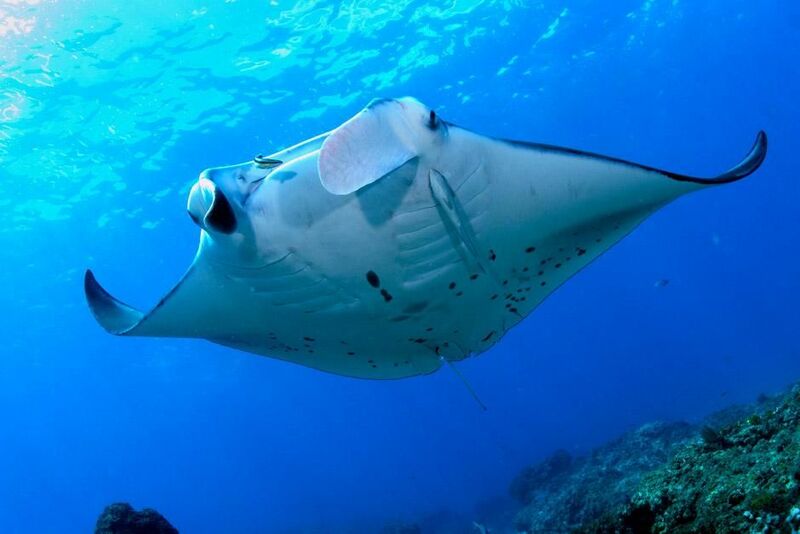 Lady Elliot Island, QLD, Australia: Looking up at a manta ray underbelly as it swims overtop of the camera. This image is from Manta Mystery. 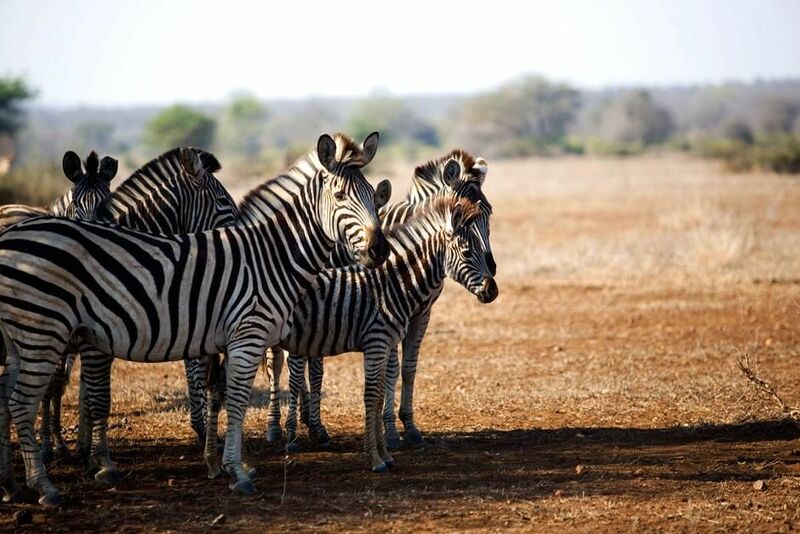 A zebra at Singita Kruger National Park in South Africa. This image is from Safari Live. 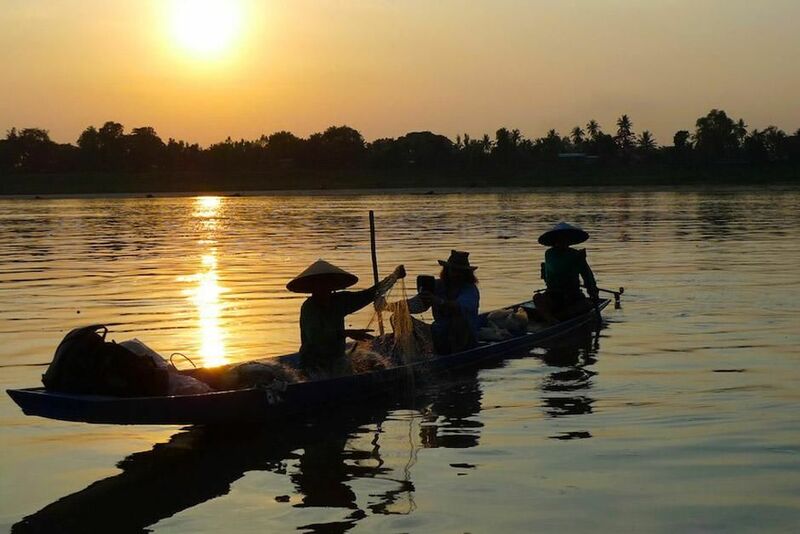 Richard Terry joins local fisherman on the Mekong River searching for clues to the attacks. This image is from Man V Monster. 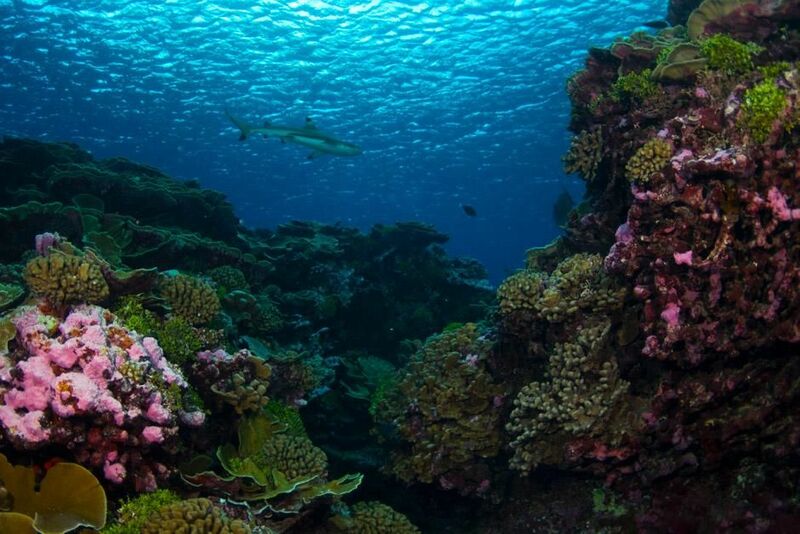 Millennium Atoll: A cruising blacktip shark in a coral reef habitat. Blacktip sharks are easily identified by the prominent black tips on their fins. This image is from Shark Eden. 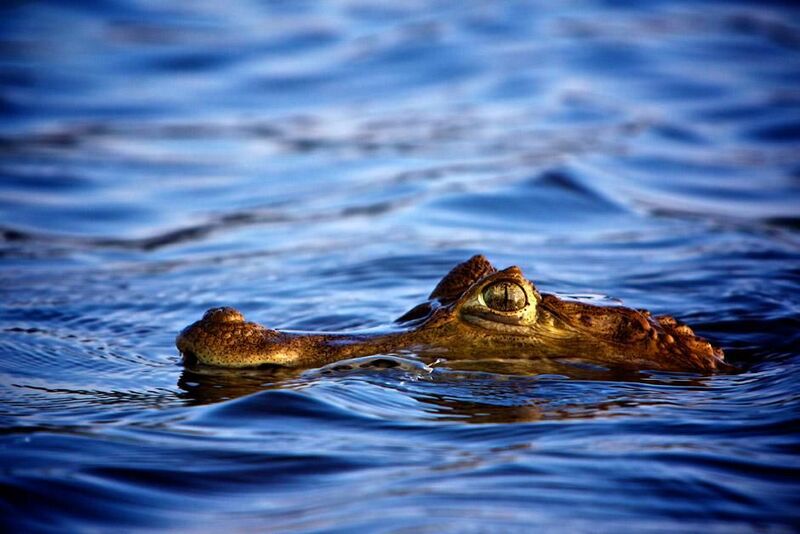 Brazil: Caiman keeps an eye on the scientists fishing the Xingu River. This image is from MegaPiranha. 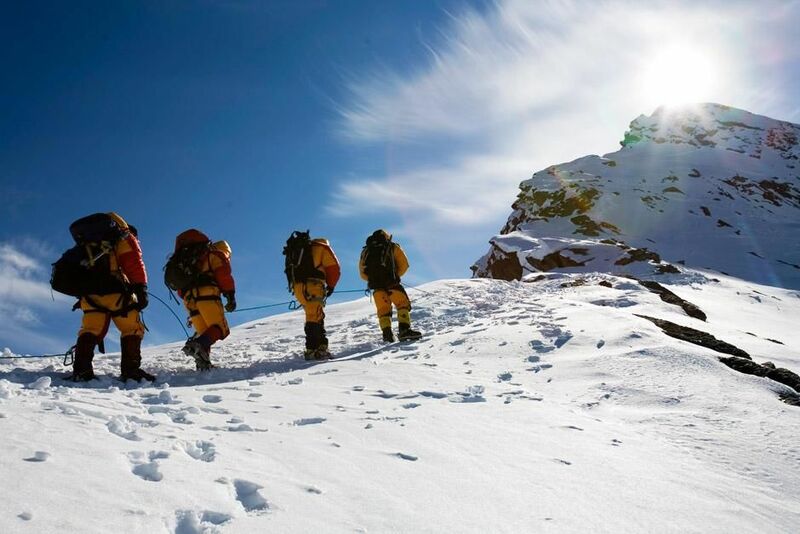 2006 was the deadliest season on Everest in a decade. Record numbers of climbers took advantage of clear weather and flocked to toward the summit. Lincoln Hall miraculously survived, after being declared dead on Everest. This image is from Miracle on Everest. 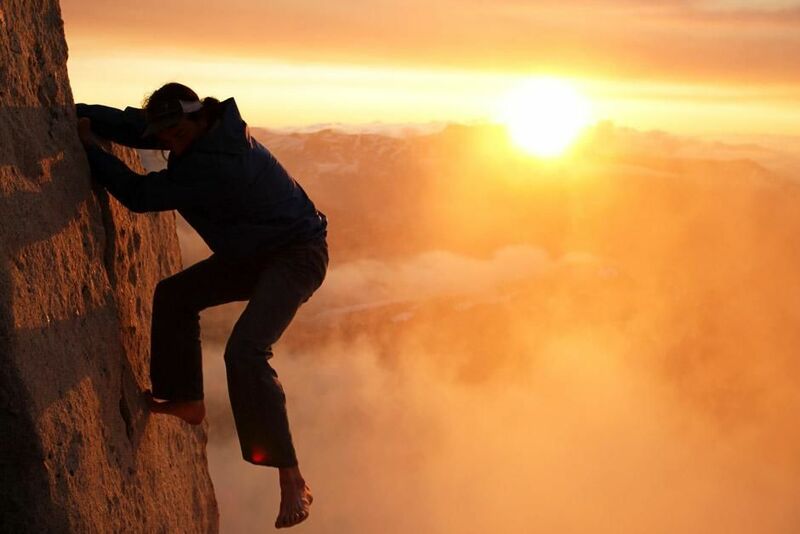 Yosemite National Park, California: Dean Potter walks across a high-line at Cathedral Peak in Yosemite National Park. This image is from The Man Who Can Fly. 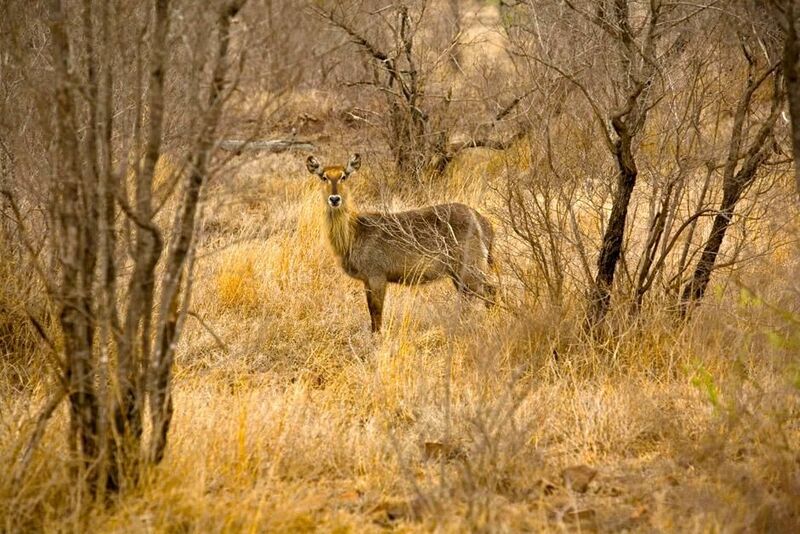 A water buck at Singita Kruger National Park in South Africa.This image is from Safari Live. Scientist and best angler of the group, Justin Grubich, casts at sunset on the Xingu River in Brazil. 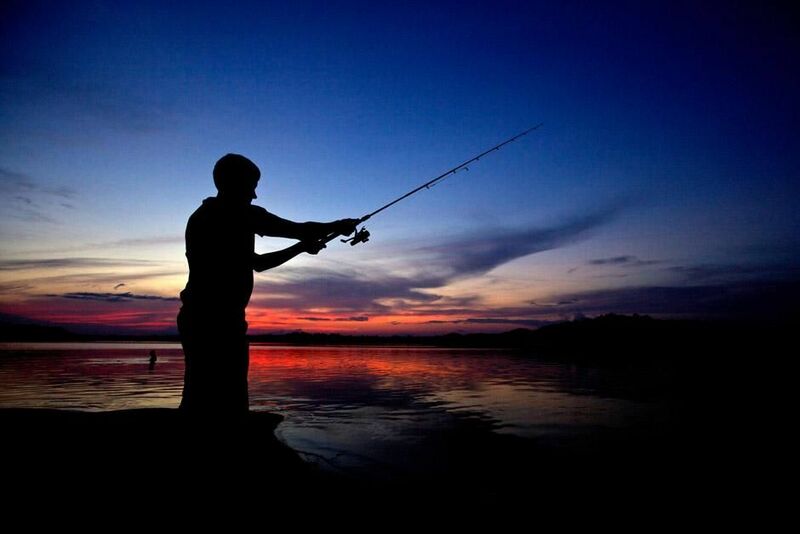 He successfully catches a vampire fish before nightfall. This image is from MegaPiranha. 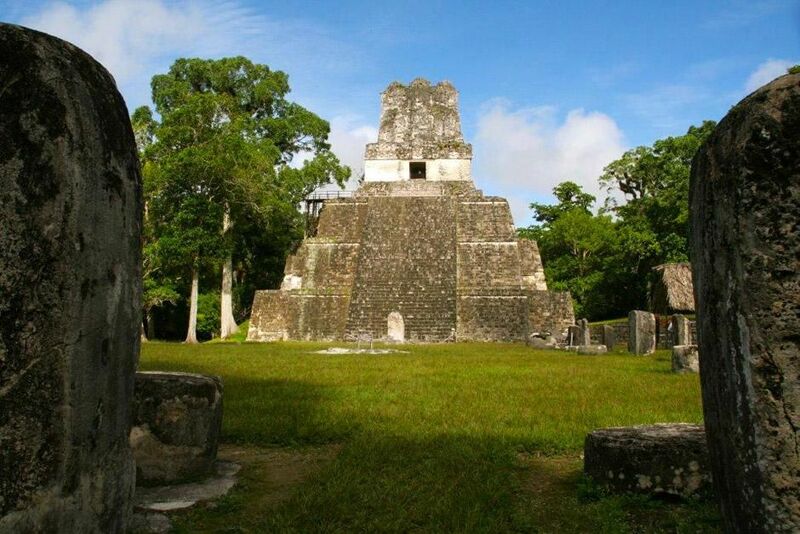 Tikal in Guatemala. This image is from Mayan Apocalypse. 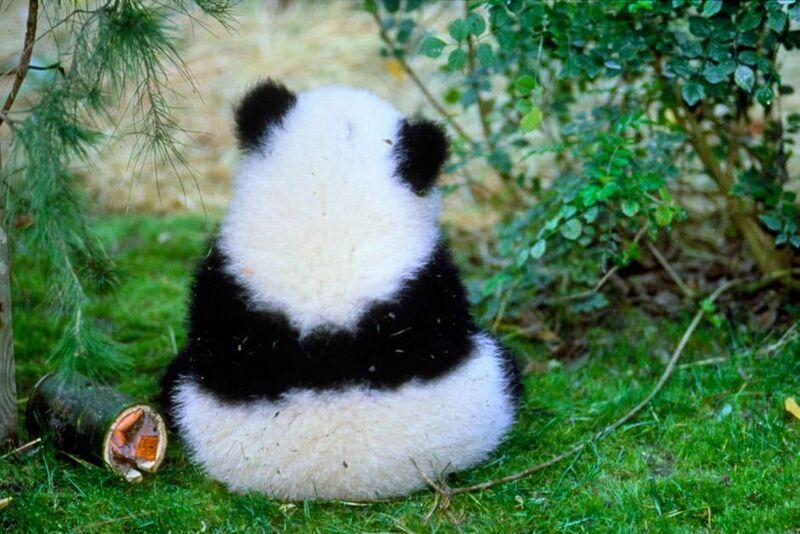 Hua Mei - Giant Panda Cub. This image is from Panda Baby. 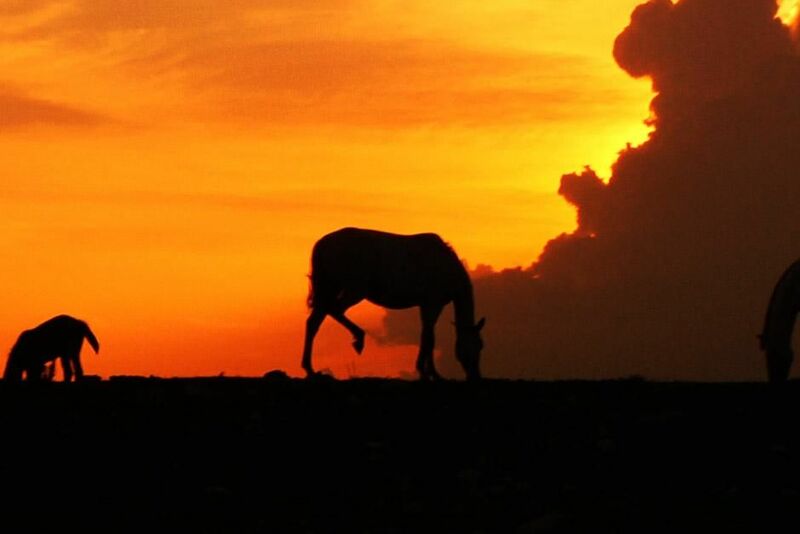 Big Cypress, FL, USA: A silhouette of a horse against the orange Florida sky. This image is from Swamp Men. 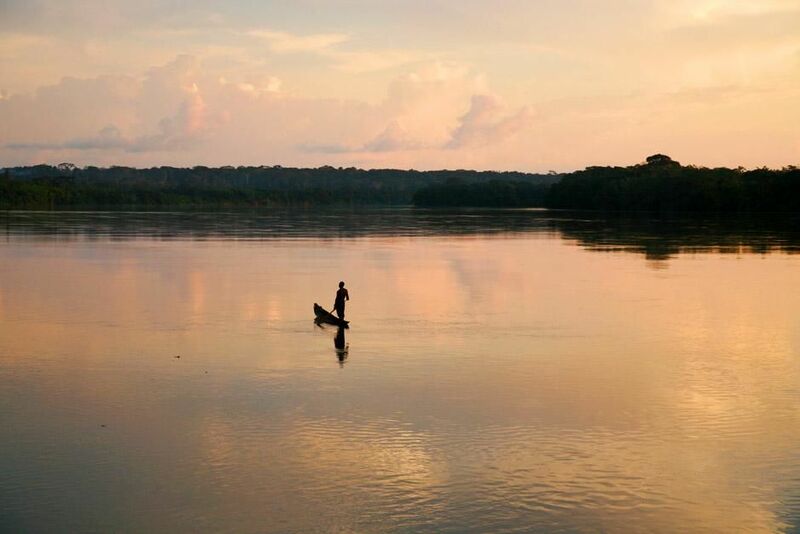 Central African Republic: A lone man on his boat sits in calm waters. This image is from My Gorilla Life. 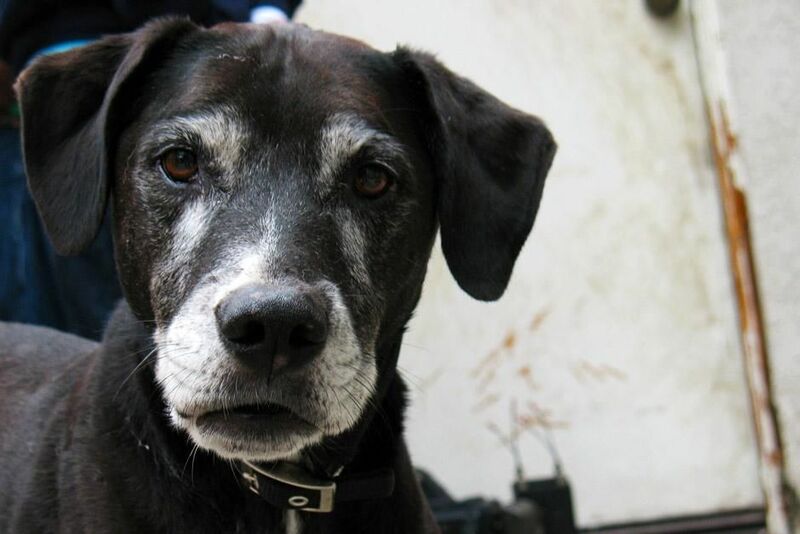 Close up of Sadie, a beagle/terrier Mix. This image is from The Dog Whisperer. Botswana, South Africa: A black rhino in the Okavango Delta after chasing off a lion pride. 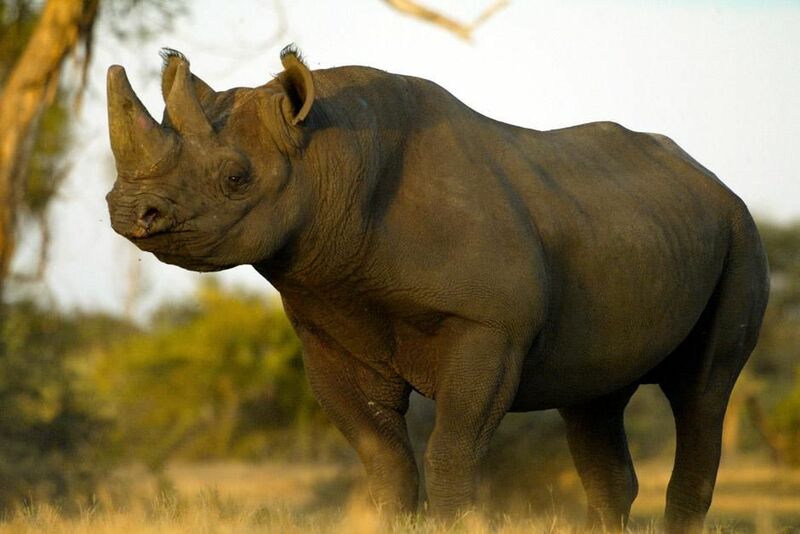 This image is from Return of the Rhino. 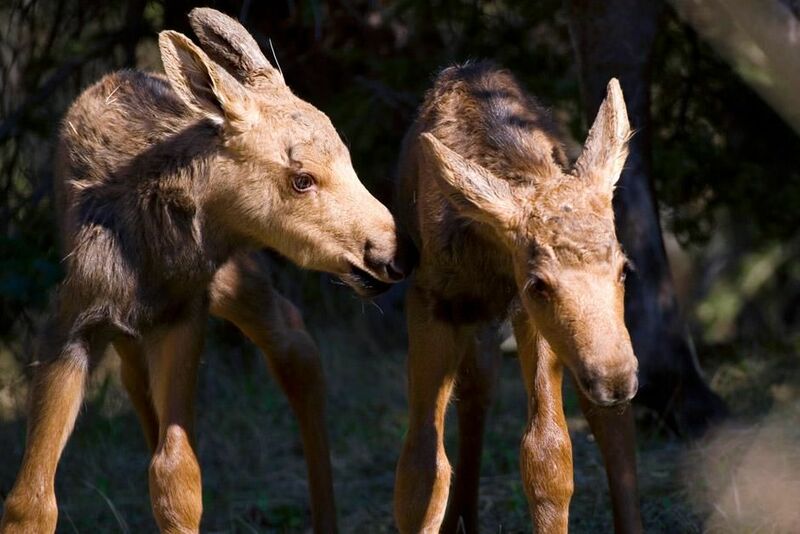 Newborn moose calf twins in Anchorage, Alaska USA. This image is from Mysteries Of The Moose. 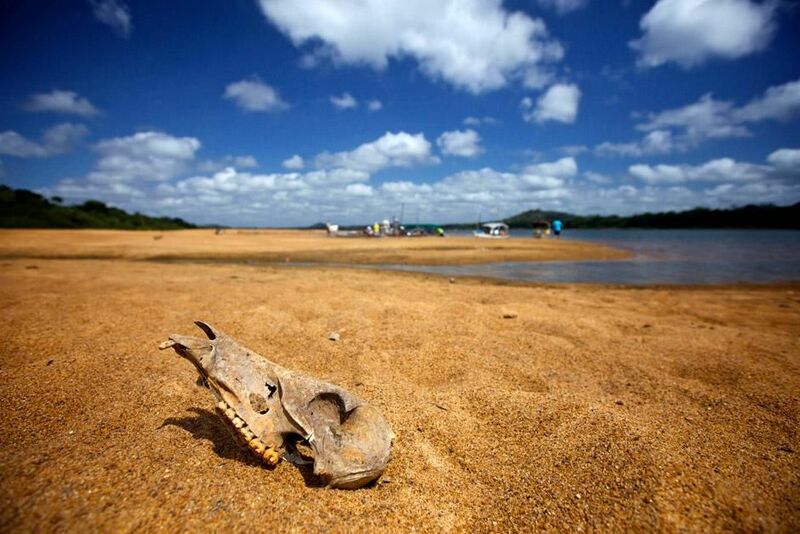 Brazil: An animal skull on the banks of the Xingu River, found near where the team has set up camp. This image is from MegaPiranha. 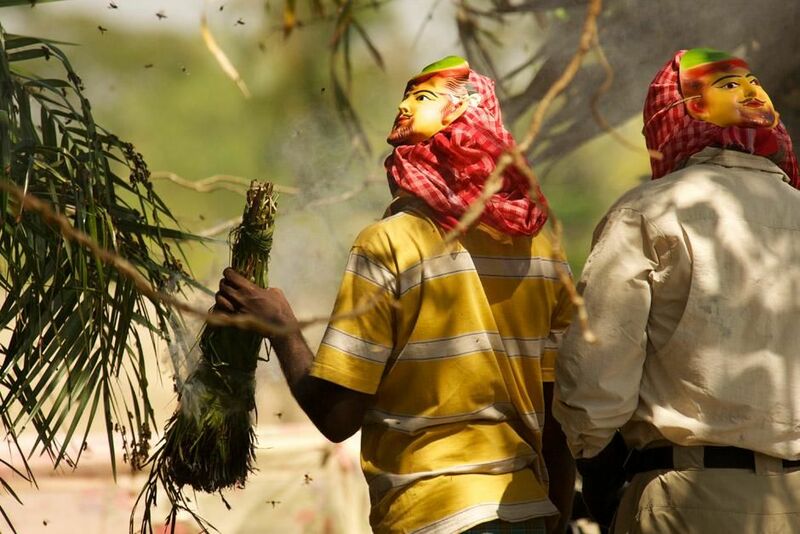 Richard Terry assists a group of honey hunters as they use burning foliage to smoke a swarm of bees from a large hive. This image is from Man V Monster. 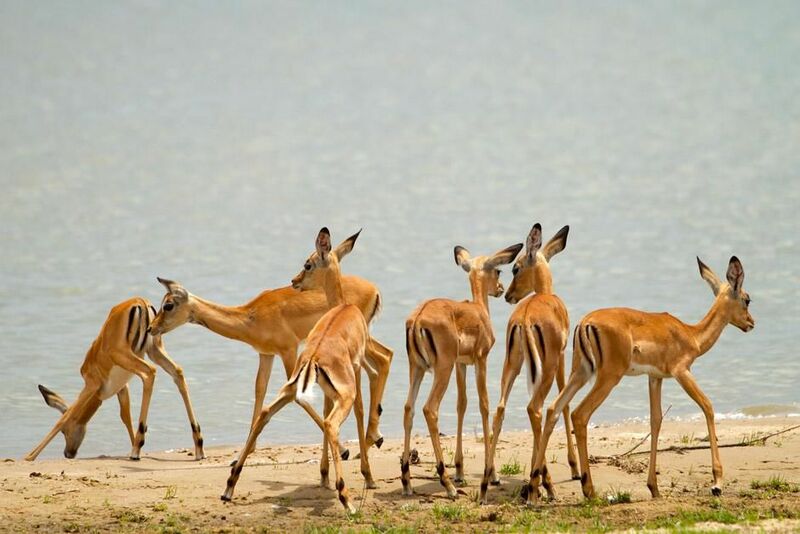 Southern Tanzania: Home to over half a million antelope the Selous Game Reserve has an abundance of natural prey for lions. The hot sun of the dry season and the lack of water has caused the antelope and other lion prey to gather at this water hole. The lions can't be far away either. This image is from Man Hunt. 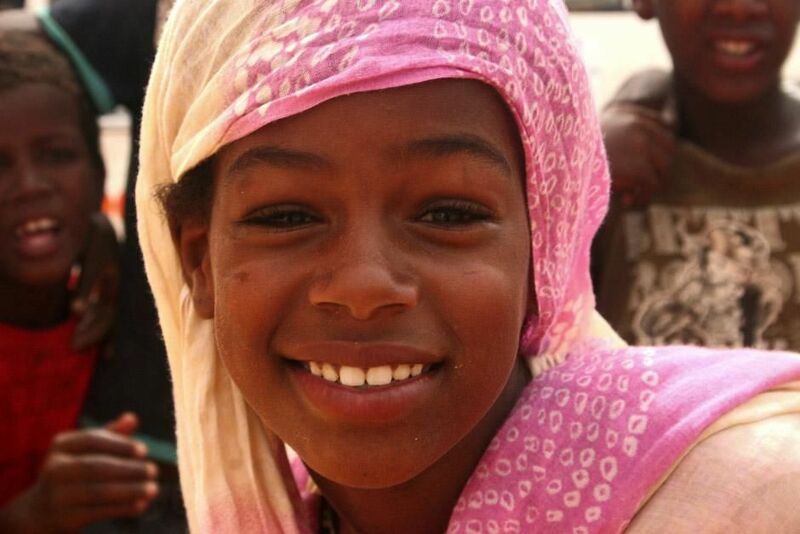 A local woman from Mauritania. The Sahara Challenge follows a bunch of adventure junkies as they do battle with each other and the extreme and unpredictable Sahara environment. This image is from Mad Way South: The Sahara Challenge. 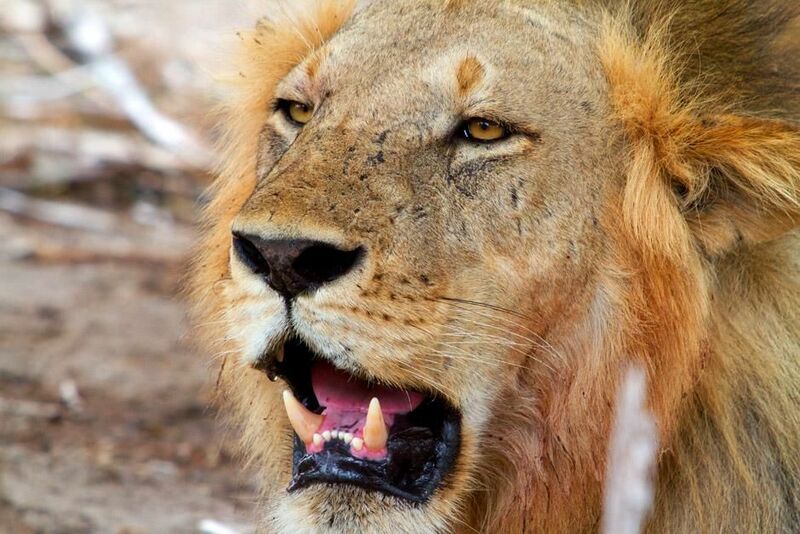 Southern Tanzania: A male lion bares his teeth in the Selous Game reserve. The reserve is home to an estimated 4300 lions. Are these prides the source of the man-eating lions terrorizing the villages outside the reserve? This image is from Man Hunt. King Colony, Montana: Lori Hofer and Megan Hofer sitting on the back of a truck on carrot picking day. 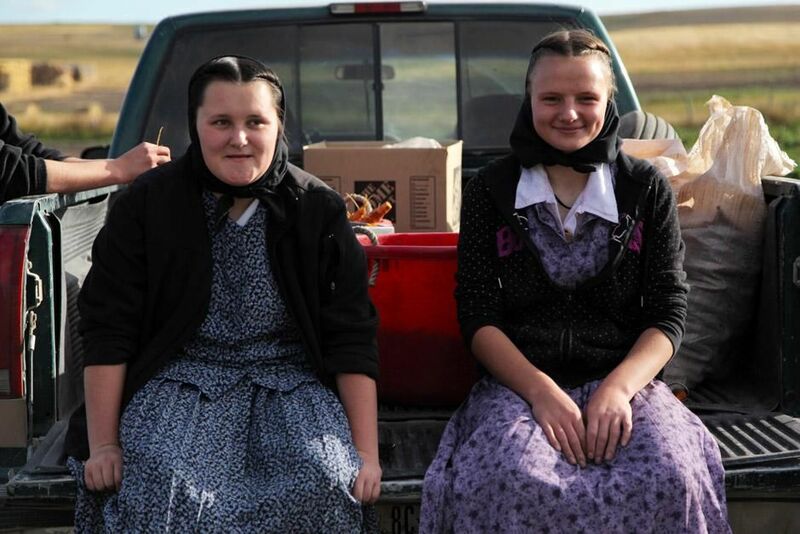 This image is from Meet The Hutterites. 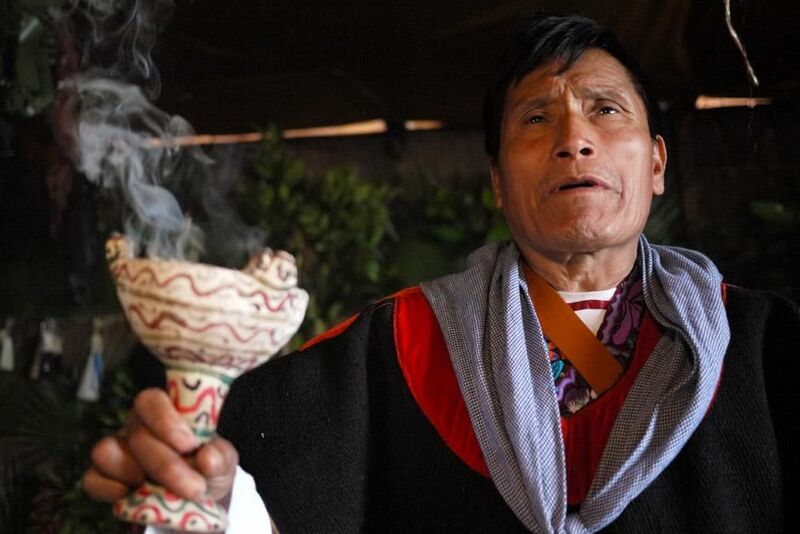 A close-up shot of local Tzotzil Shaman, Jose Joaquin Vasquez as he performs a sacred ritual to protect the people of Zinacantan, translated as " the People of the Bats." This image is from Man V Monster. 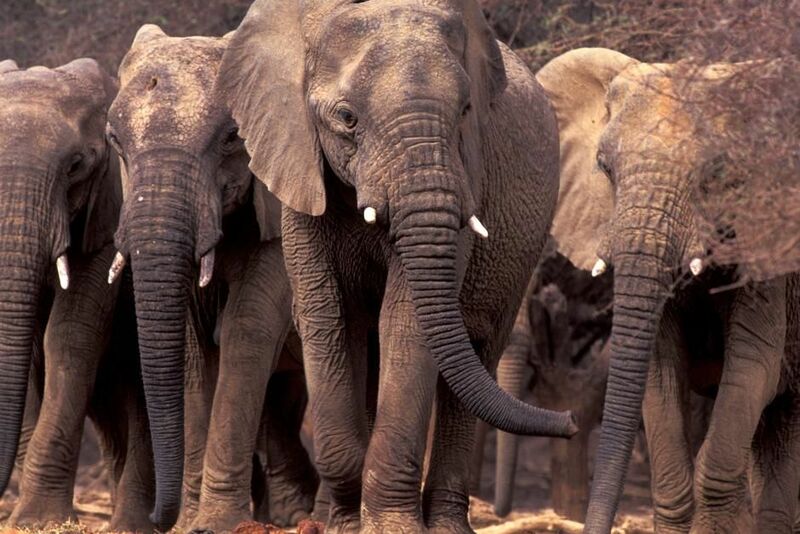 Sahara Desert: The rare Mali elephant undertakes the longest elephant migration on Earth, a 300-mile circle around the heart of landlocked Mali in West Africa. Traversing the southern edge of the Sahara Desert, the only way to survive is to keep moving across the scorched earth from water to water, food to food both in desperately short supply. This image is from Great Migrations. 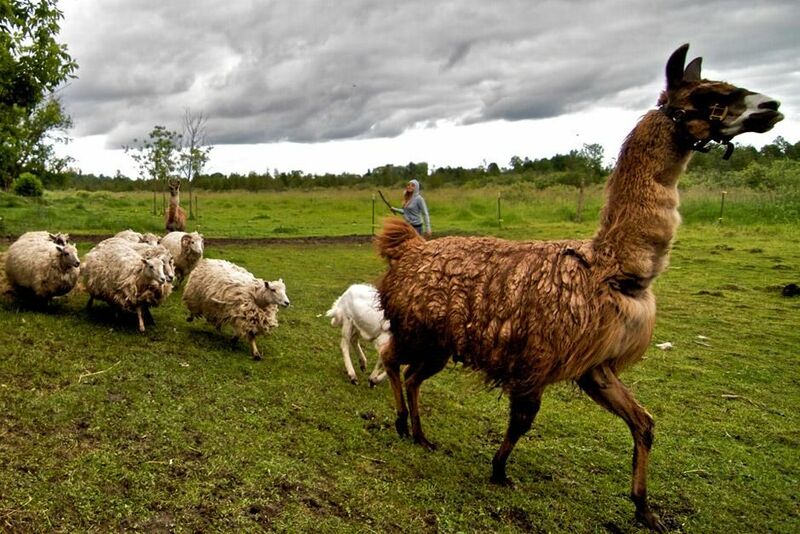 A rescued llama leads a line of rescued sheep at Piper's Place, the new rescue center at the DeYoung Family Zoo. Located on Michigan's Upper Peninsula, the zoo was opened in 1990 and now sustains over 400 animals. This image is from My Life is a Zoo. 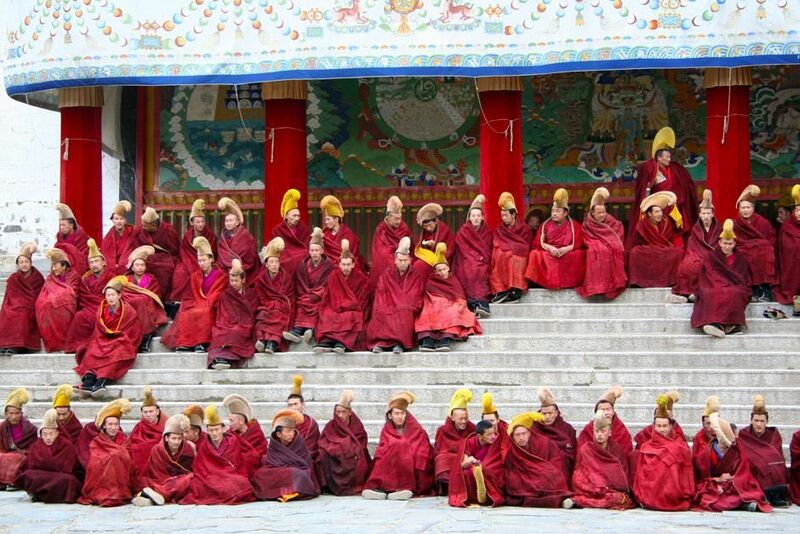 Buddhist monks at the Labrang monastery chanting. This image is from Merton's China. 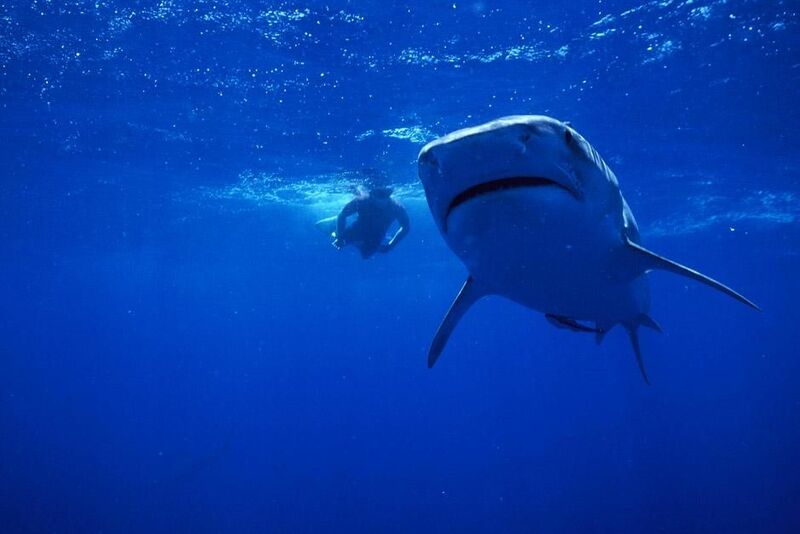 A free diver swims with a tiger shark. This image is from Dive to Tiger Central. 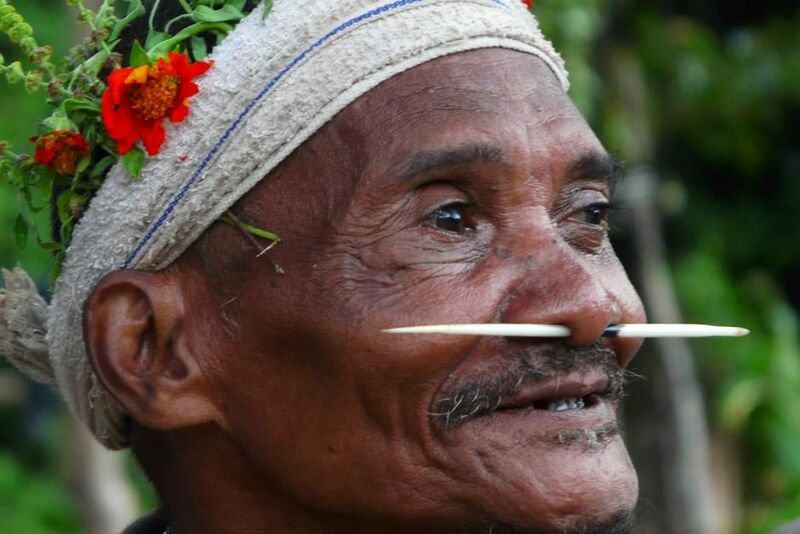 Royal Belum National Park, Perak, Malaysia: Bintang, an elder from the village of Bongo 2, is a member of the Jahai tribe and is dressed for the Sawang celebration. This image is from Man Hunt. 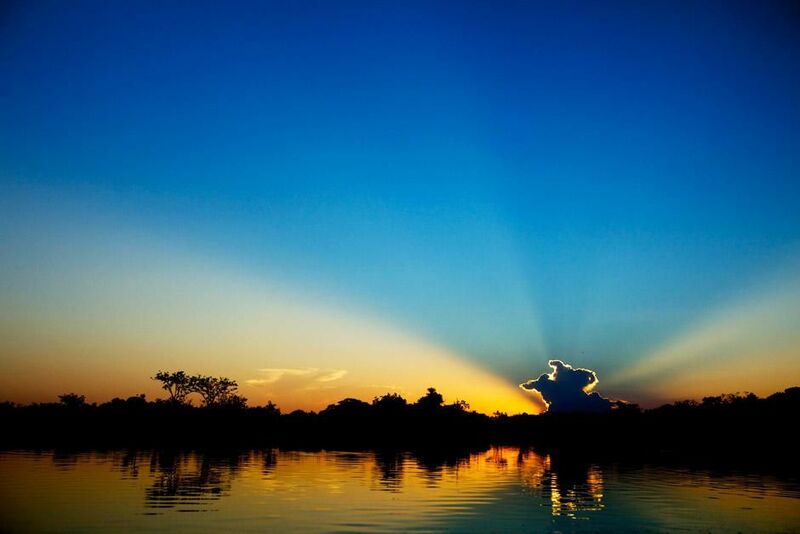 Sunset on the Xingu River, Brazil. This image is from Megapiranha. 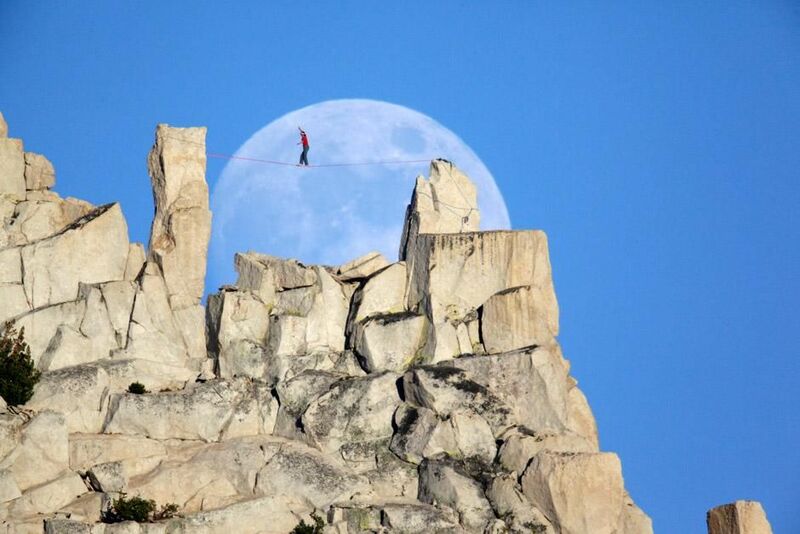 Yosemite National Park, California: Dean Potter dancing with the moon at Cathedral Peak. This image is from The Man Who Can Fly.